It is with great joy that the community of the monks celebrates the ordination of Hegumen Father Moussa Abba Moses as Bishop Peter over the new Diocese of North Carolina, South Carolina, Kentucky and it’s surrounding areas. 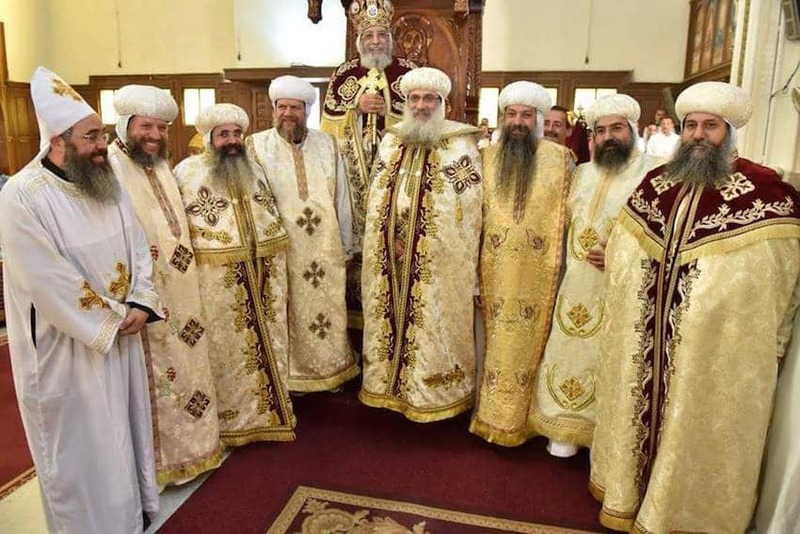 We congratulate His Grace Bishop Youssef on the ordination of his spiritual son, and we all proclaim with joy, Axios (Worthy), Axios, Axios Bishop Peter! In addition, we congratulate H.E. Metropolitan Serapion and the two new auxiliary bishops that will assist him in his diocese, H.G. Bishop Abraham and H.G. Bishop Kyrillos. Beware lest you speak in vain and refrain from hearing them from others nor think of them, but let your words remember God and His mercy.